We have 106 consumer reports for Micardis. 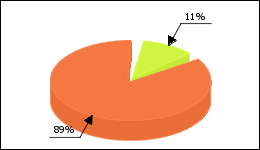 Listlessness effect occurred in 11%. I took Micardis for 10 days. the hypotensive effect was only moderate. However, there were unbearable sweats / heat flashes, which occurred 20-30 times a day and also at night. Since this condition was unbearable, the preparation was discontinued. 2-3 days later, the sweats had disappeared. Tiredness and lack of drive were also determined by me, which is the case with many people with blood pressure. the sweats were absolutely unacceptable!